Who could actually resist a news headline about a giant Pleistocene Japanese duck? Not me, I’m afraid. Kaiju films are one of my favourite things, alongside disaster movies. From Godzilla to Pacific Rim, I love ‘em all. Add the word Pleistocene and that’s it – it’s a paper I need to read! The very recent article by Junya Watanabe and Hiroshige Matsuoka in the Journal of Vertebrate Biology was immediately placed on my list of ‘need-to-read’ papers! Some time back I had researched and presented the story of the extinct giant Hawaiian duck, the Moa Nalo. Keeping that info at the back of my mind, I plunged into the paper, which, although brief, is quite technical for someone who is not in any way an expert on bird bones. Yet it tells a fascinating tale of painstaking, methodical research and detective work, and just how the reassessment of old material is always utterly necessary. But let’s start at the very beginning; the ‘new’ duck Shiriyanetta hasegawai isn’t really so new. The bones had been found over a span of time, from the 1950s to the 1980s, mostly from areas of Shiriya, in north-eastern Japan, which had once been marine terraces back in Pleistocene times. Hence its name – Shiriya for the area and Hasegawa the first scientist to wonder what the bones actually belonged to, back in the 1950s. The assemblages of skull fragments, limbs and pectoral bones were never fully identified. It was just another lost creature of the Ice Age, presumed to be some sort of Mergini, or seaduck species. But that was before the Duck Detectives, Watanabe and Matsuoka, got started on the analysis of those bones! 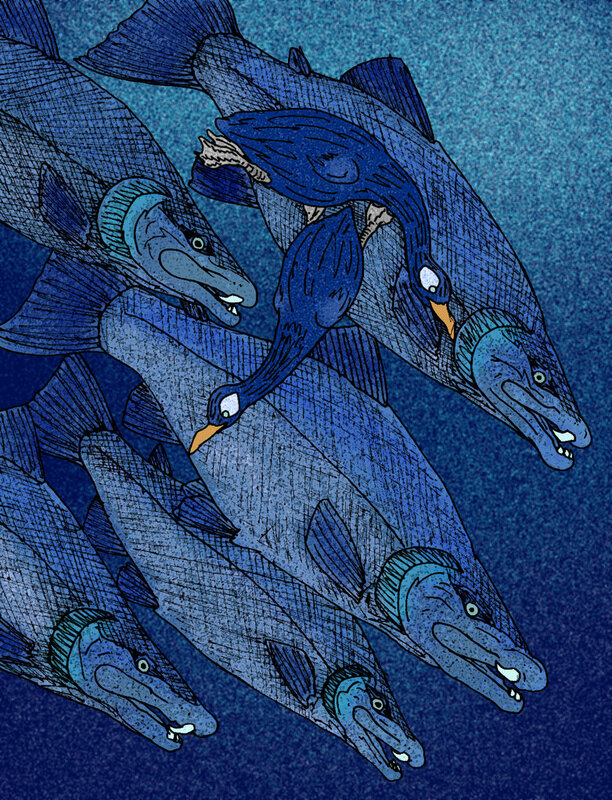 It became pretty evident that S. hasegawai belonged to the Anatidae family, and was as flightless as those other Pacific giants, the Moa Nalo, and goose species Branta rhuax and Branta hylobadistes. I’m a bit disappointed that there’s no reconstruction of what the bird would have looked like – I for one want to see how similar or different it was to other ancient or modern species We do know, however, it was quite a large duck, about the size of the modern Muscovy Duck (Cairina moscata) or Steamer Duck (Tachyeres patachanicus), weighing in around 7kg, so not a giant, but a rather large bird of its type. If it resembled anything else in that primeval world of ice and refugia, it was the Californian Chendytes, a large goose-like sea duck which became extinct within recent prehistory. Detailed analysis showed that the skeletal structure of S. hasegawai incorporated airspace within the bones (technically called the skeletal pneumaticity), indicating a powerful diving bird; those airspaces are necessary for buoyancy and surfacing again after plunging into water after tasty fish! The ridge on the shoulder blade bones (margo caudalis) was also typical of a flightless bird. The sturdy leg bones also suggested they were made to support a creature of larger than average body mass, which again pointed to lack of flight – the higher bone density, along with large body size gives quite a competitive edge in underwater diving. The price for that diving advantage is lack of flight. So, the upshot is that the previously unnamed seaduck, now known as S. hasegawai was probably a very successful creature in cool climates, adept at diving for food, not unlike its nearest modern ‘cousins’ the Eider duck. It would appear that they occupied a very specific niche environment for which they were perfectly adapted, just like their ‘cousins’, Chendytes, across the Pacific Ocean on the West Coast of the USA. Living right on the seafront, these birds had little need to seek food supplies elsewhere. Seasonal migration would be unnecessary when all the fish in the sea are yours for the taking. It’s likely that like the modern Eider, these Pacific ducks would have conserved body heat with soft, warm plumage. Within such a stable environment, flight was simply a waste of energy which could be better used in foraging. The world these birds lived in was considerably different from today – the Japanese archipelago we know is the result of regular and dramatic sea level changes from the Ice Age onwards. While Japan escaped the great ice sheets, the landscape of Ice Age Japan was covered in deep coniferous forests with smatterings of Fagus (beech) and Quercus (oak) groves on the southern coasts of Kyushu. Temperatures were cool, ranging between 8oC and 6oC, which was decidedly balmy compared to the big freeze in Europe and North America of 20,000 years ago. Land bridges connected all four main islands. 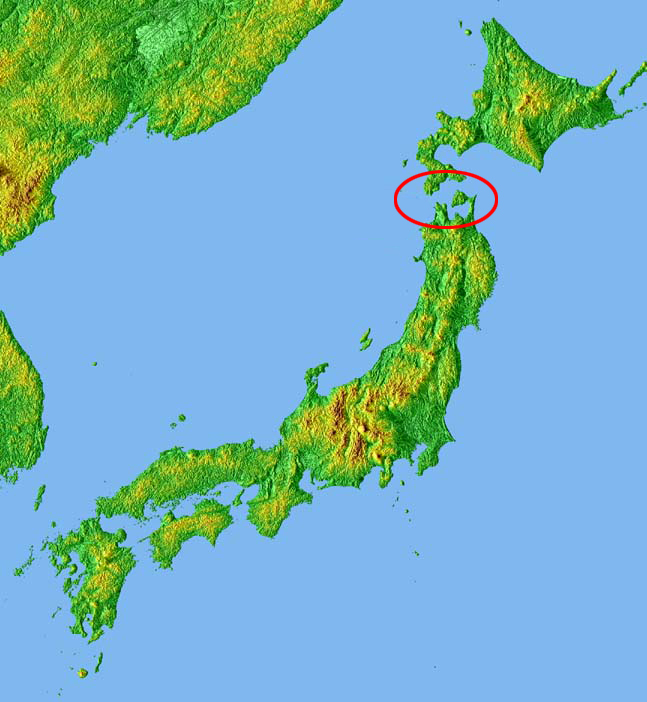 There was a connection to Korea via the southern island of Kyushu and the northern island of Hokkaido was likely joined to Siberia, right up to the end of the Ice Age, around 15,000 years ago, when the meltwaters flooded the region and created the islands we know now. The Japanese fauna included mammoths, of course, but also the beautiful Sinomegaceros yabei, Palaeoloxodon, and numerous smaller mammals. Placing our large, fluffy ducks in this time, and environment, there was indeed little need for flight. They dodged the icy bullet of the glaciers which affected parts of California and even Hawaii of the Last Glacial Maximum, and likely knew no serious danger until the arrival of humans, via those landbridges. It’s speculated that the first humans arrived in Japan around 30,000 years ago, a story told by both human remains and animal traps , discovered across the island. We also know they were voracious hunters, and many species succumbed to unsustainable hunting. At this moment in time, nobody knows exactly when S. hasegawai became extinct; it’s early days for research yet, and there’s no speculation on extinction dates within the paper. The series of unfortunate events brought on by the end of the Ice Age created rapid changes in temperature, sea level and vegetation, often irrevocably altering the environment for niche species. At the same time, milder temperatures and lack of ice allowed humans to go on the move, bringing with them overkill and human alteration to landscapes. The factors are likely best looked at as a combination which was not conducive to the preservation of Pleistocene species. A flightless, large plump duck with warm feathers was likely easy hunting for early humans, making S. hasegawai another statistical casualty of the march of Homo sapiens across the Holocene world. However, something rather odd has been spotted in Japanese waters….. giant ducks bobbing about in Osaka harbour, large enough to scare off any human hunter. You could be forgiven for imagining this kawaii kaiju as the result of nuclear mutation, as all the best movies start that way, of course! Duckzilla? We await the movie of this! Giant rubber ducks in Osaka! Read about the giant inflatable duck here! An excellent article on Japanese Palaeolithic archaeology, by Suzuki, H and Tanabe, G. Available here. This entry was posted in Uncategorized and tagged Anatidae, Branta hylobadistes, Branta rhuax, Cairina moscata, Chendytes, Giant Hawaiian Duck, Giant Japanese Duck, Homo sapiens, Moa-Nalo, Muscovy Duck, Rena Maguire, Shiriya, Shiriyanetta hasegawai, Steamer Duck, Tachyeres patachanicus. Bookmark the permalink. Really interesting read! I too wish they made some sort of reconstruction, it’d have been nice to draw one. Saw there were still no reconstructions of this duck! Decided to fix that.